Transfers to Alpe d’Huez are available from Grenoble Airport with Ben’s Bus. See below for advice on Alpe d’Huez transfers from Geneva, Lyon and Chambery Airports. Our shared airport shuttle service from Grenoble Airport to Alpe d’Huez operates almost every day of the 2018 / 2019 winter ski season when there is a ‘scheduled’ flight. We transport more passengers on this route than any other transfer company and we have the most frequent service and the cheapest prices. Our shared transfers operate from the 15th December 2018 until the 20th April 2019. We have many shuttles each day and we generally use large coaches, which means less environmental impact. The average wait time at the airport is just 1 hour, often much less. 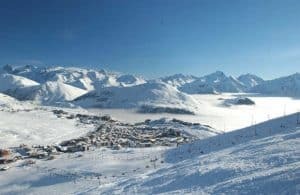 A cheap Saturday transfer from Grenoble Airport to Alpe d’Huez with Ben’s Bus cost just £29pp Single & £49.90pp Return. With our group discounts, you could pay as little as £43.70pp Return. Plus, we give children a 10% discount. For a full list of prices, check out our Prices Page. Or use our Online Booking Form to get a quote and the proceeding pages will then show our bus times. Grenoble Airport is the closest airport to Alpe d’Huez with the shortest transfer time. Of course it depends on the traffic and weather but the transfer usually takes about 1 hour 45 minutes. We allow extra time for the journey when we know travelling conditions may be difficult, such as during school holidays. Ben’s Bus does not operate Alpe d’Huez transfers from Chambery Airport, Lyon Airport or Geneva Airport. This is because Grenoble Airport is so perfect for Alpe d’Huez and there are many airlines that fly there from many destinations. You may wish to consider changing your flights to and from Grenoble Airport, as it may actually be cheaper this way so that you can take our service. Grenoble Airport (GNB) is 107 km from Alpe d’Huez. The transfer time is about 1 hours 45 mins. A Return costs from £44pp. Get directions from Grenoble Airport to Alpe d’Huez. Geneva Airport (GVA) is 214 km from Alpe d’Huez. The transfer time is about 3-4 hours. A Private transfer costs about £400 for up to 4 people. You could also take a bus from Geneva Airport to Grenoble Bus Station and then change for the local buses with Transaltitude. Get directions from Geneva Airport to Alpe d’Huez. Lyon Airport (LYS) is 155 km from Alpe d’Huez.The transfer time is about 2 -3 hours. A Private transfer costs about £300 for up to 4 people. You could also take a bus from Lyon Airport to Grenoble Bus Station and then change for the local buses with Transaltitude. Get directions from Lyon Airport to Alpe d’Huez. Chambery Airport (CMF) is 130 km from Alpe d’Huez. The transfer time is about 2 hours. A Private transfer costs about £280 for up to 4 people. Public Transport would be time consuming and complicated. Get directions from Chambery Airport to Alpe d’Huez. Grenoble Bus Station is 67 km from Alpe d’Huez. The transfer time is about 1 hour 20 minutes. The local buses are operated by Transaltitude or we would recommend Actibus for a private taxi. 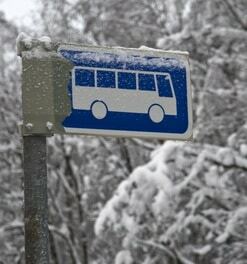 We have 4 bus stops in Alpe d’Huez, conveniently located around the resort, close to the main accommodation centres. These stops can be seen on the map below. For more detailed information, visit our Grenoble Airport to Alpe d’Huez page and expand the section “BUS STOP LOCATION“. This map and a description of the bus stops are on the eTicket that we send you when you book with us. 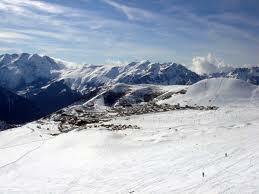 Alpe d’Huez is a well rounded resort situated in the Southern French Alps area of Oisans, in the departement of Isere. It has a wide range of different levels of hotels and accommodations and has many bars, clubs and restaurants. It is therefore well suited to families, couples and young people alike. 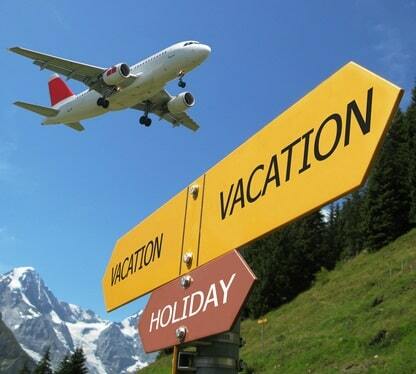 During the school holidays, it can get very busy, as with most ski resorts. 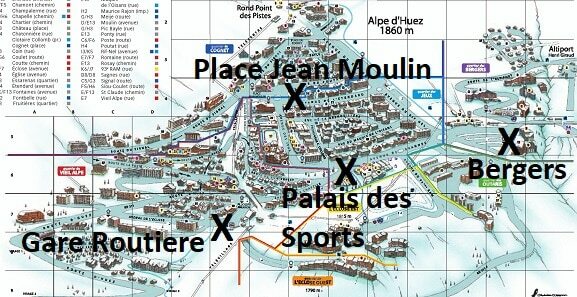 It has all the amenities you would expect from a large French ski resort and it’s very popular with the British. The 48 ski lifts cover 250km of marked ski runs, with 16 blacks, 40 reds, 34 blues, 43 greens, and the longest black run in the world – the 16km Sarenne. The ski area is suitable for all types of skiers, from beginners to advanced to the off piste powder monkeys! We believe we offer the cheapest Alpe d’Huez Airport Ski Transfers. 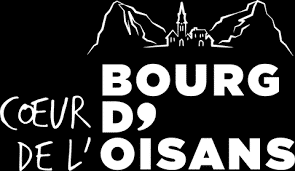 Resort Information: Explore the Alpe d’Huez Tourist Office website. Weather Forecasts: Try the Meteo France for Alpe d’Huez website or the Alpe d’Huez Snow-forecast site. 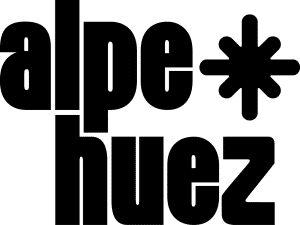 Live Webcams: Check out the excellent Alpe d’Huez webcams. Baggage Storage: Visit our Baggage Store page for any details we have about luggage storage facilities in Alpe d’Huez.